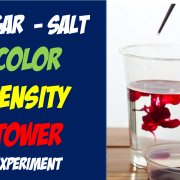 Color Density Tower is a fun science experiment for kids to do at home which shows how due to density difference, layers of different liquids can sit on top of each other. 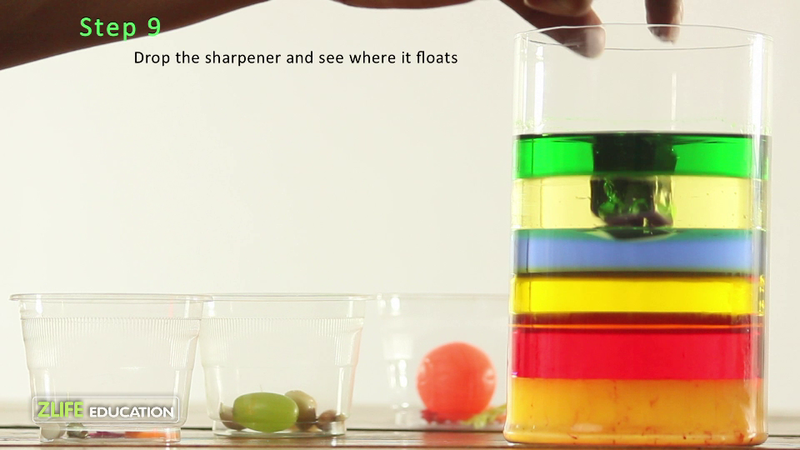 The layers arranged in different colors looks really cool! 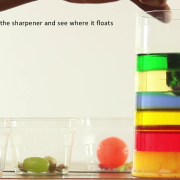 Let’s just imagine what if you could make different objects float in the middle of those different layered liquids? 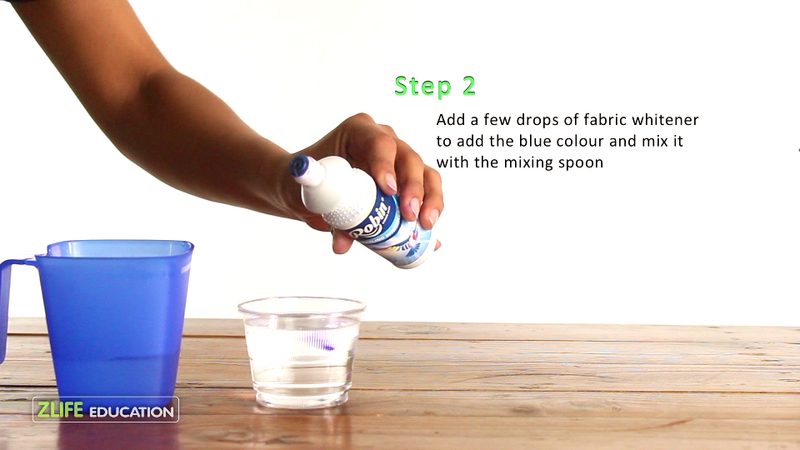 Add few drops of fabric whitener and mix it. 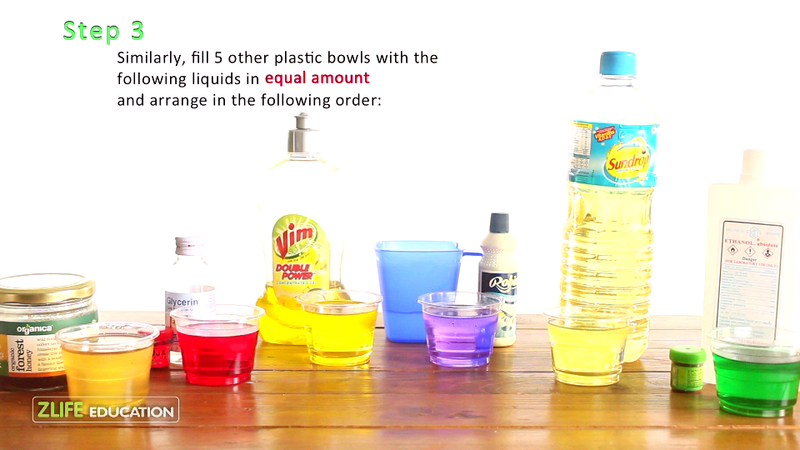 Similarly, fill another 5 bowls with following liquids and arrange them in this order. 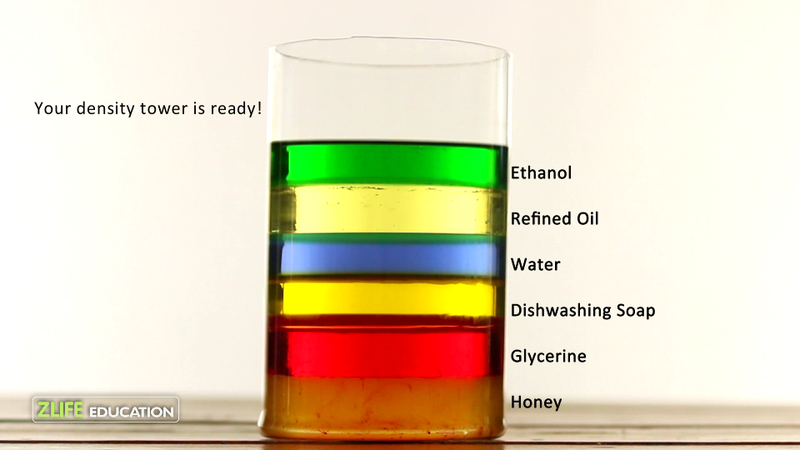 Honey, Glycerin, Dish-washing liquid, refined oil and ethanol. 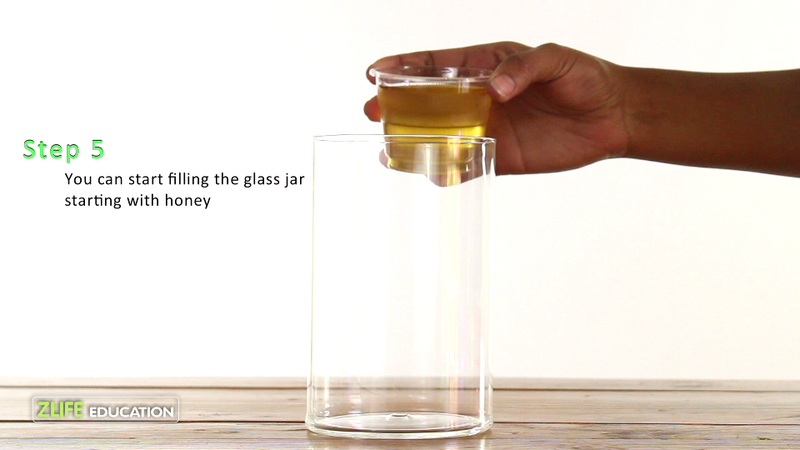 Start filling the glass jar with Honey, Let it settle. 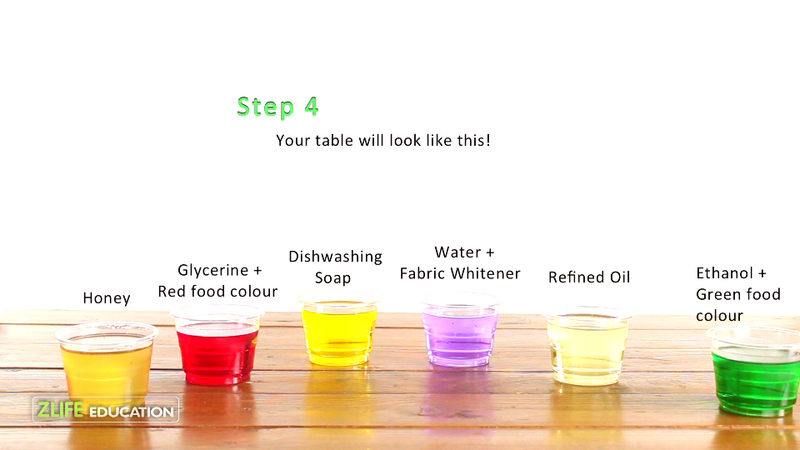 Subsequently add glycerin, followed by dish-washing liquid, water, refined oil and ethanol. 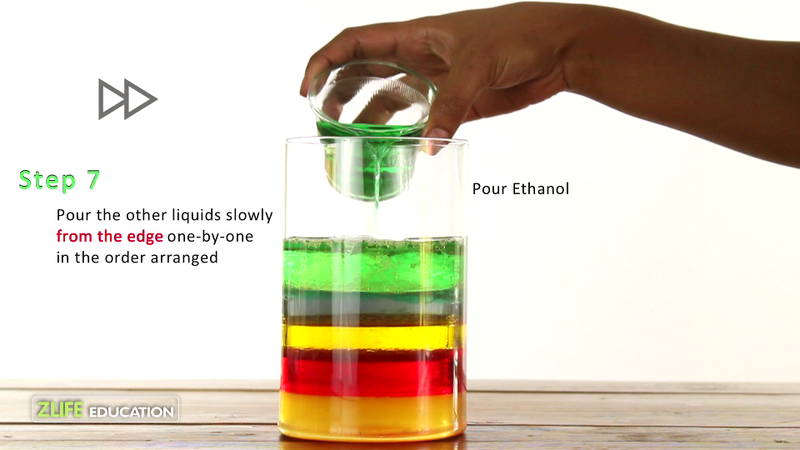 Your density tower is ready. 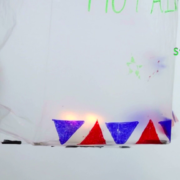 Now, start putting some objects in the tower and see where they float. 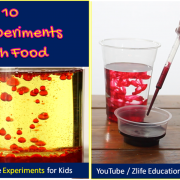 In this experiment, when we add same amount (same volume) of two different liquids they will have different weights because they have different masses. 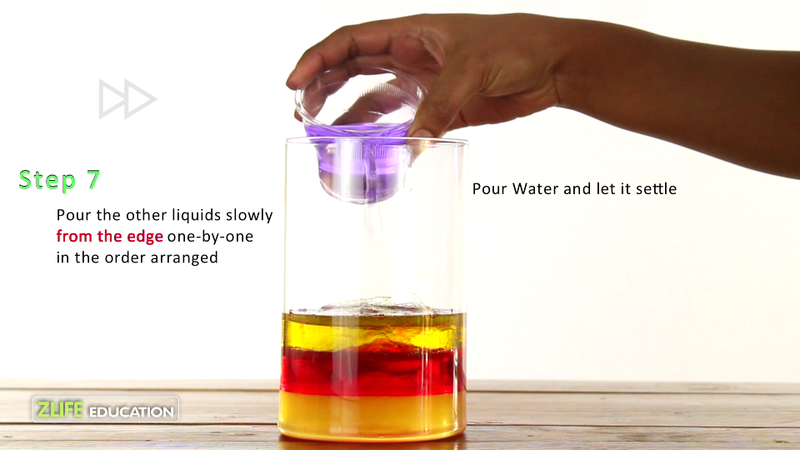 The liquids that weigh more (have a higher density) will sink below the liquids that weigh less (have a lower density). 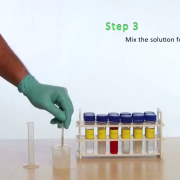 The same principle goes for the small objects that you dropped into your density tower. 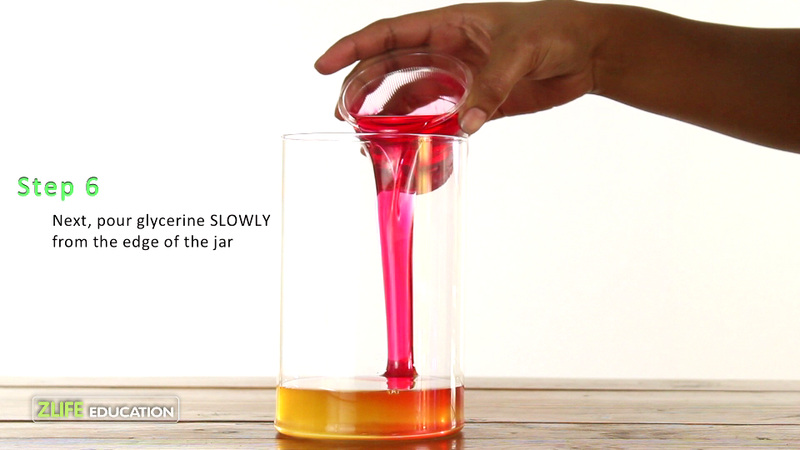 The metal bolt is denser than all the liquids in the tower and therefore sinks directly at the bottom. 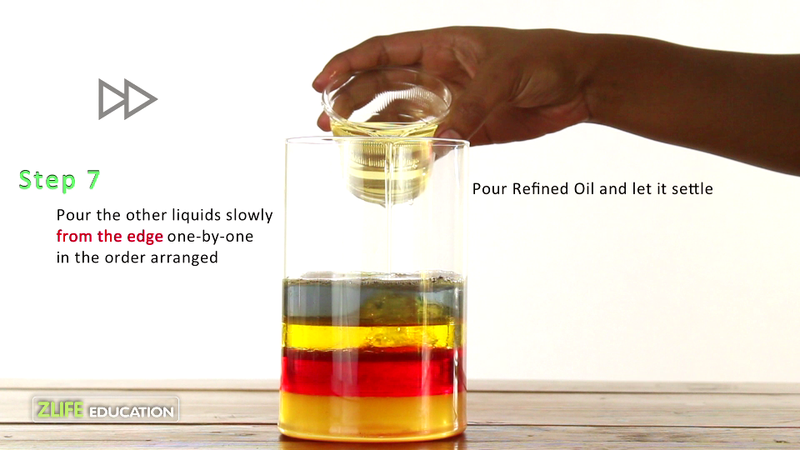 For example, the ice-cube is denser than alcohol and less dense than water. 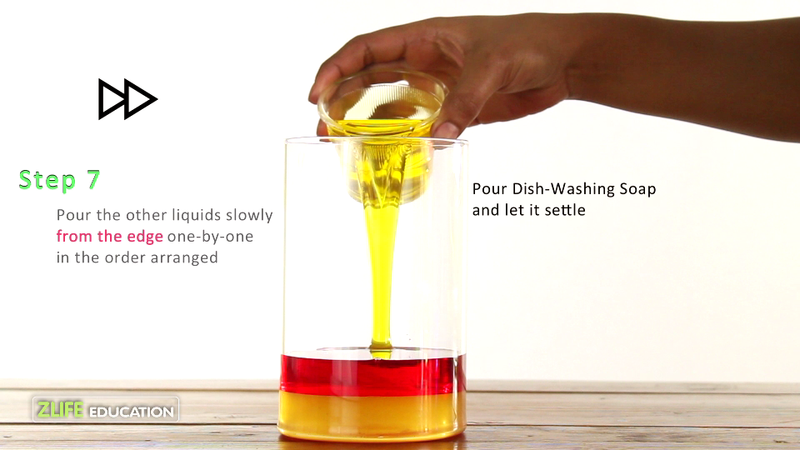 This makes the ice-cube settle on the top of the layer of water. 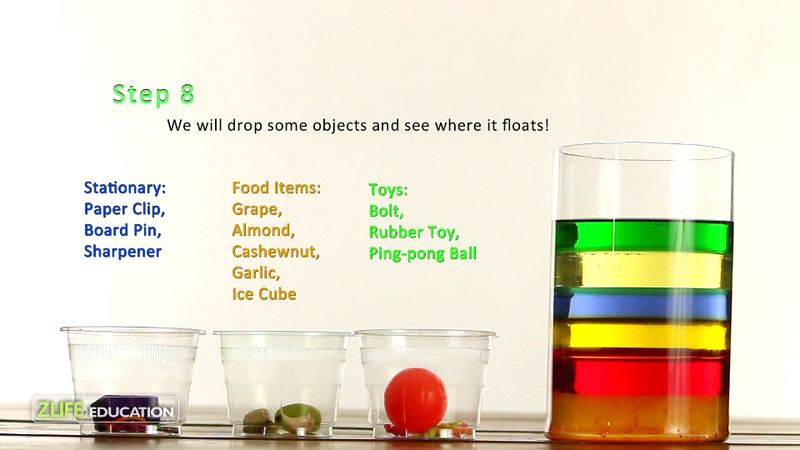 We had grabbed a bunch of miscellaneous objects to drop into our density tower. 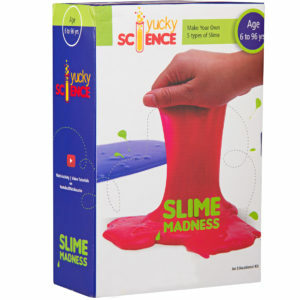 This is the perfect opportunity to get into some scientific exploration!! 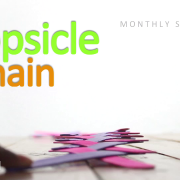 Use items like- bolt, ping-pong ball, grapes, cashew nut etc. 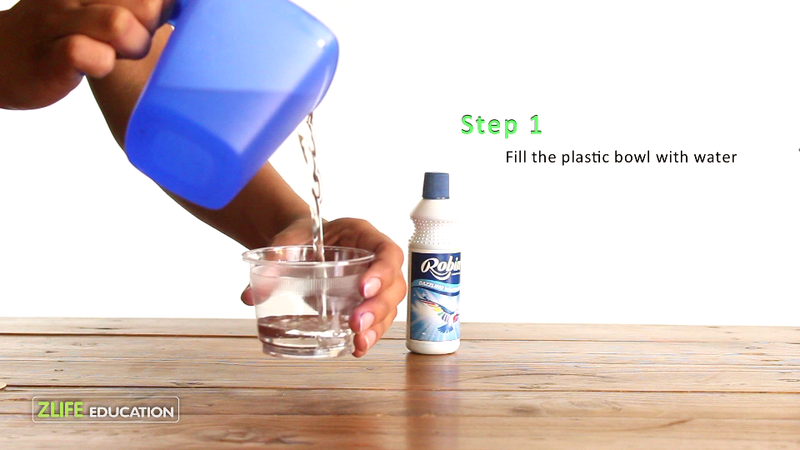 into the container and try it out with many such items. 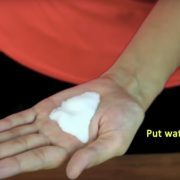 Analyze where do the objects float and why!